Ottavio Dantone is an Italian conductor and keyboardist (primarily harpsichord and fortepiano) particularly noted for his performances of Baroque music. He has been the Music Director of the Accademia Bizantina in Ravenna since 1996. Dantone trained at the Conservatorio "Giuseppe Verdi" in Milan where he graduated in organ and harpsichord. In 1985 he was awarded the Basso Continuo prize at the International Paris Festival and was also a laureate in the 1986 International Bruges Festival. 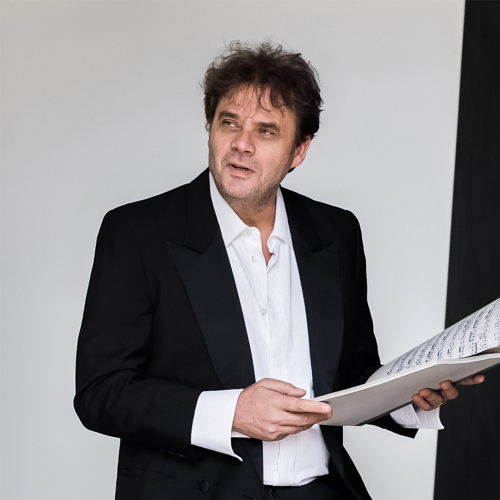 Dantone made his debut as an opera conductor in 1999 with the first performance in modern times of Giuseppe Sarti's Giulio Sabino at the Teatro Alighieri in Ravenna. He made his La Scala debut in 2005 conducting Handel's Rinaldo, and would conduct performances of the same opera at Glyndebourne in 2011.